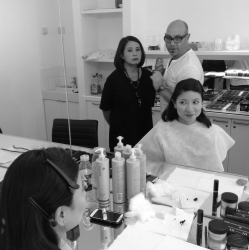 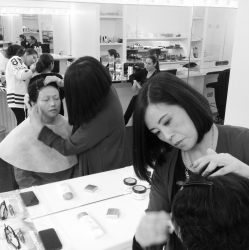 Here at the London School of Makeup we were proud to have been chosen to play host last week to staff from the Hong Kong based company DFS. 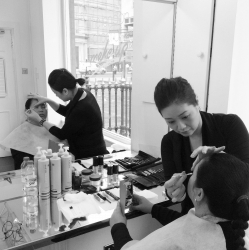 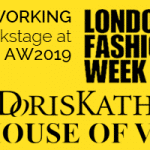 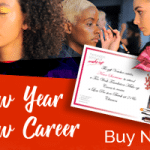 DFS run some of the largest duty free shops at airports around the world including JFK and have chosen us to give exclusive makeup classes to some of their best staff in our London makeup school. 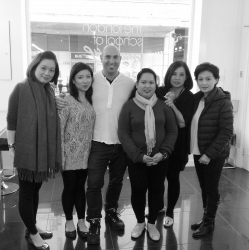 DFS beauty sales staff have been sent over to our London makeup school to experience the latest make-up techniques from our expert makeup tutors Charlotte Isaacs & Francesco LoCasio plus skin care with the legendary Beryl Barnard. 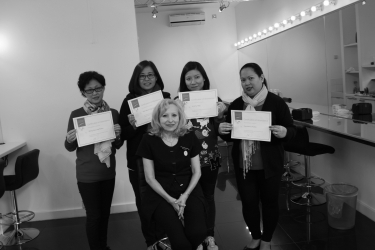 Call us today on 0207 499 5771 to find out more about our range of IMA accredited makeup courses.